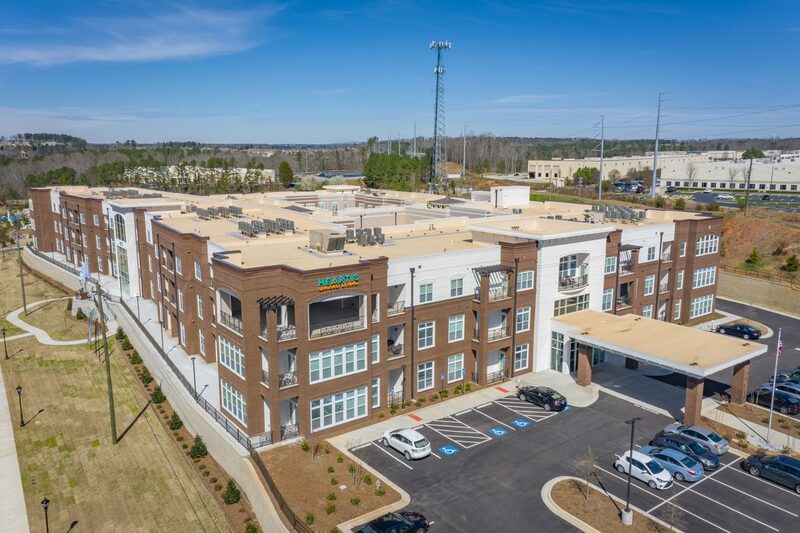 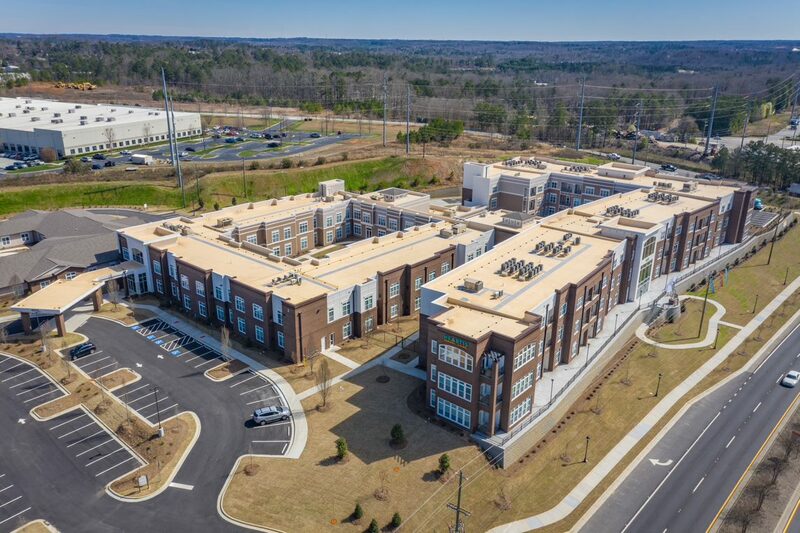 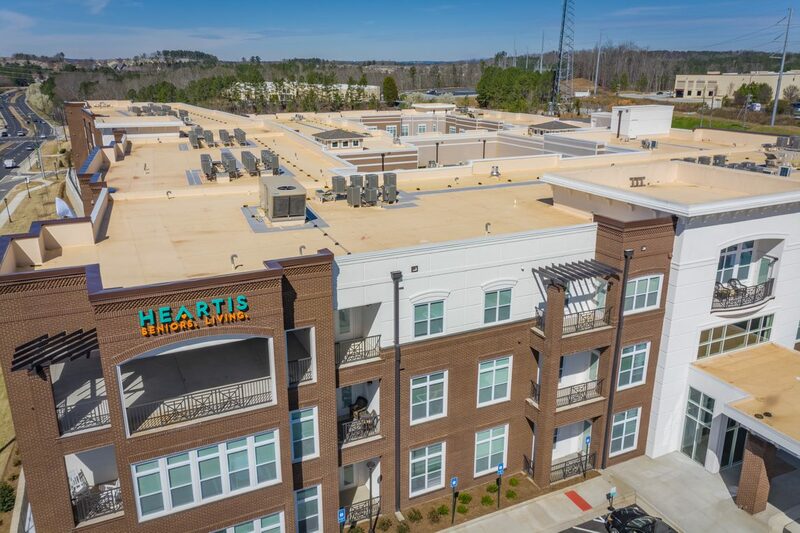 Heartis senior living center was a large +70,000 SF new construction project located in Fayetteville, GA. 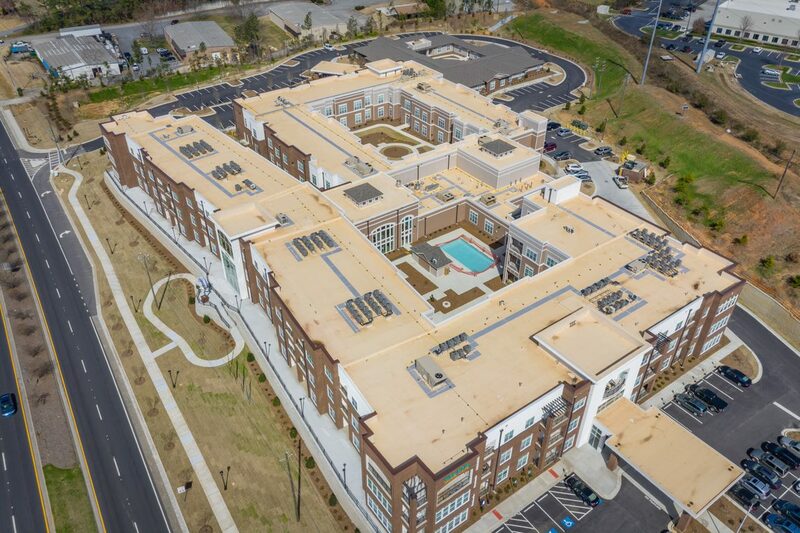 The project incorporated extensive detail on all sheet metal applications and lots of rooftop utilities. 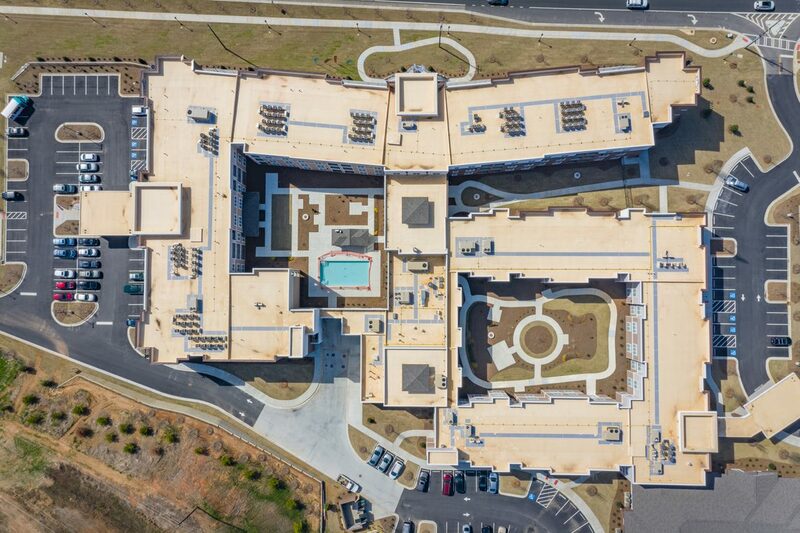 Even with strict timelines and extensive detail work, Crabapple Roofing’s talented crews knocked this project out of the park! 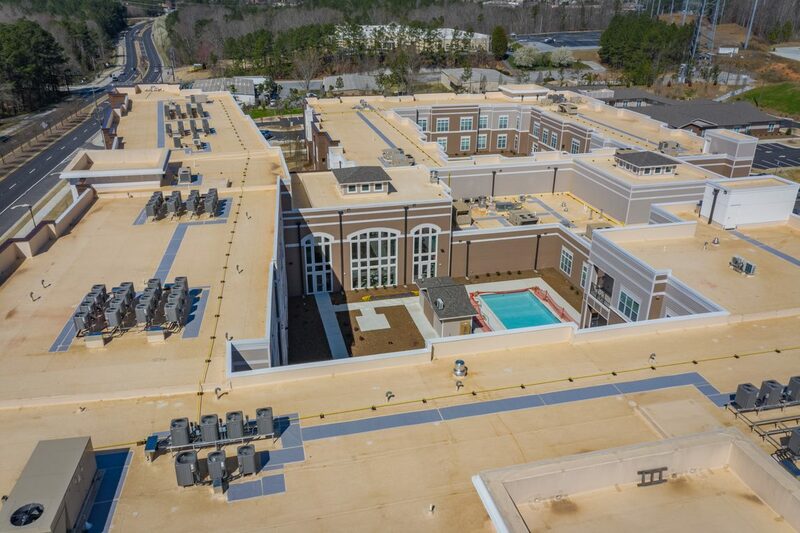 +70,000 SF ¼” Dens Decking mechanically attached to 3.5” Polyiso board.